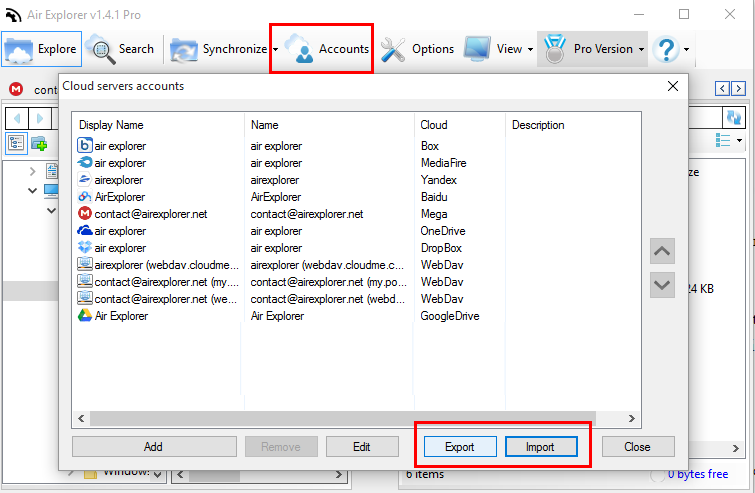 Import an export cloud accounts is possible in the new Air Explorer version. 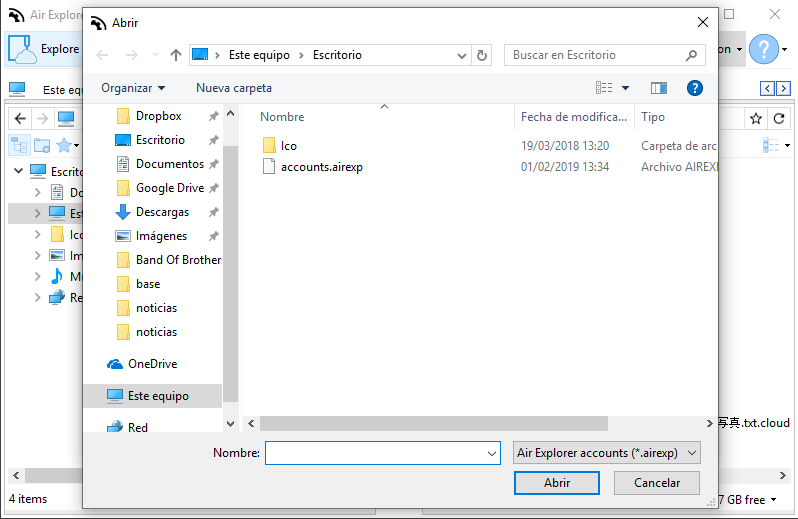 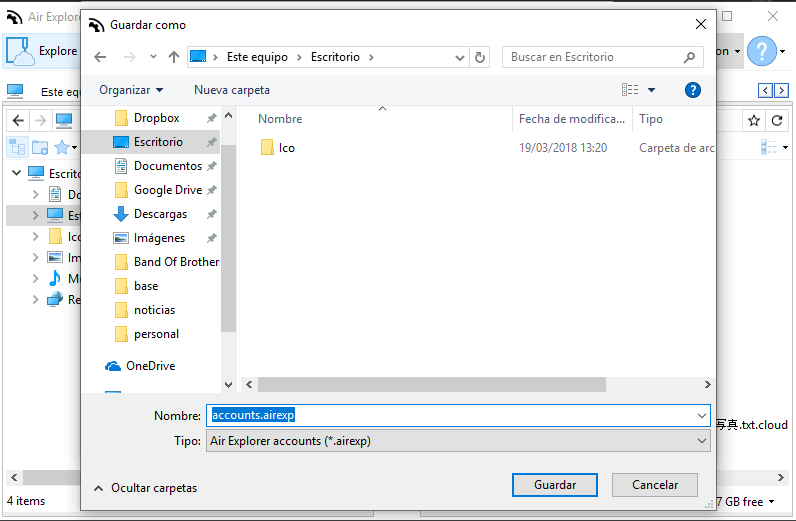 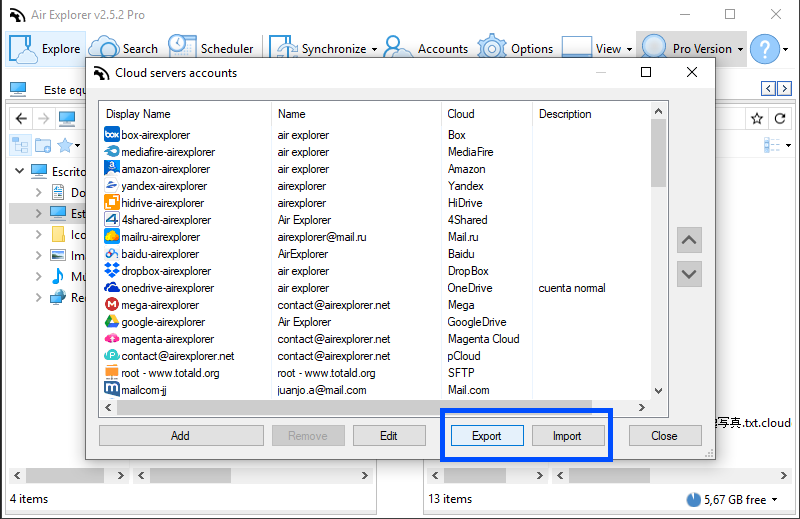 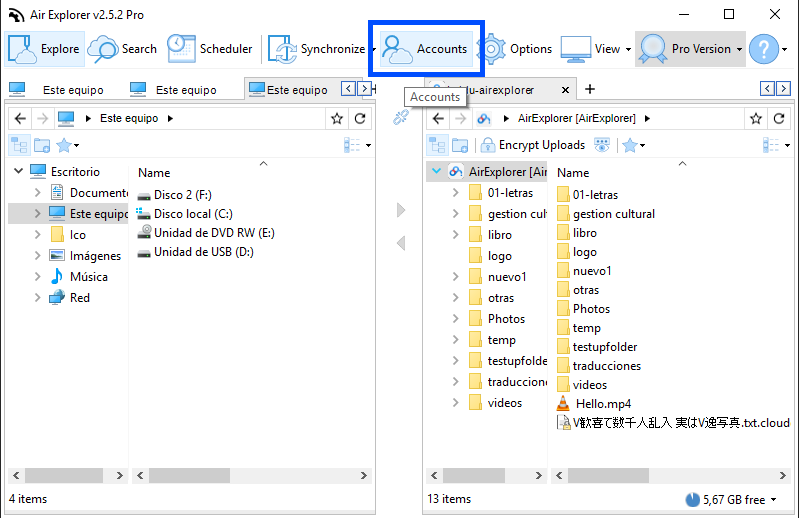 Once you have added for the first time your cloud accounts, you can choose in the Accounts Windows the option to export the list of accounts. 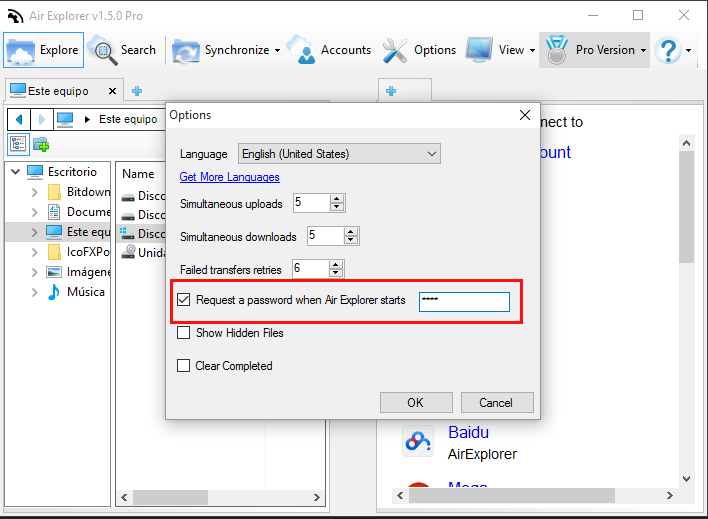 You will be asked for a file name to save the exported list and a password to protect it. 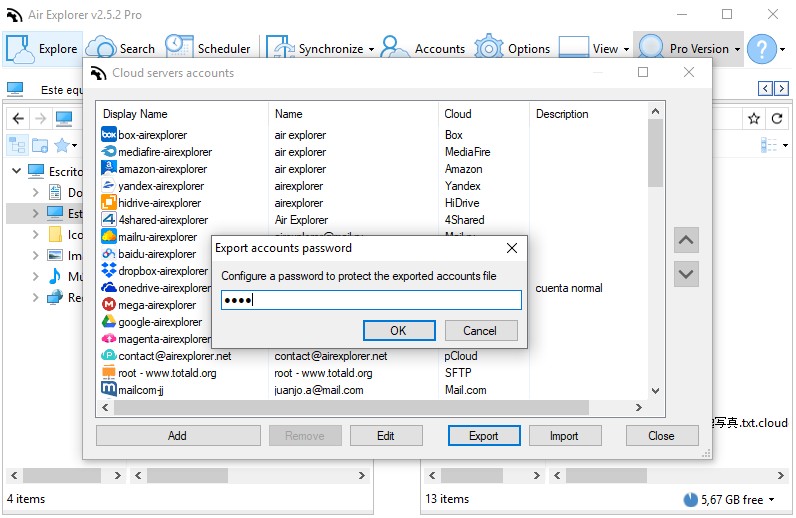 Once you save the accounts list, you can restore the list in the same or another computer.